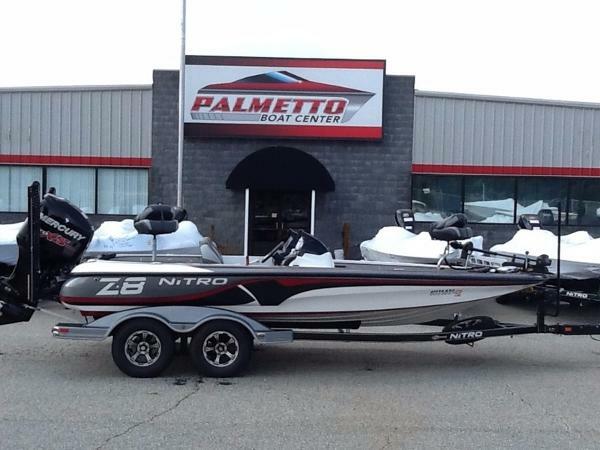 2015 Nitro Z Series Z-8, Formidable fishing performance that your competitors will envy and fish will fear. 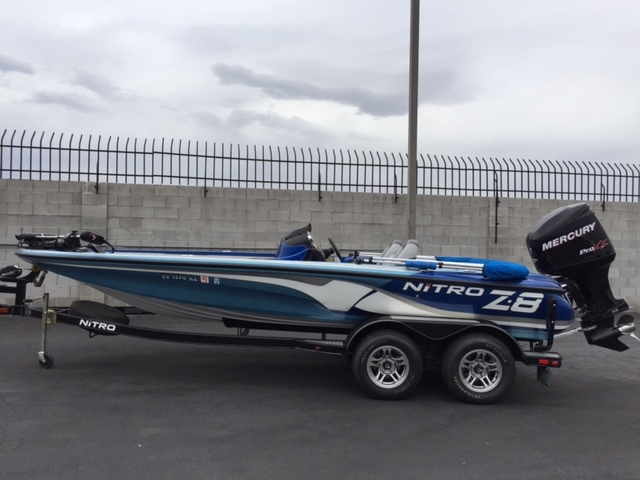 With speeds approaching 70 mph with the stock motor and a massive 20'1" length, the NITRO Z-8 is a ruthless and tireless fishing machine-and that's why it shows up in major tournaments across the nation. The 16° variable deadrise Mod V hull terminates in our legendary Rapid Planing System, which helps the Z-8 take off like an Olympic sprinter, and hop onto plane in an instant. The stepped hull also delivers and exceedingly smooth and dry ride, even at top speeds. Huge storage areas hold everything you and your buddies need for a full day of tournament competition on the water. New advanced features for 2015 include Veethree® multi-function gauges, console panel kit, and LED courtesy lights, plus 2 optional factory-mounted graphs. Also new are Gem stainless steel latches and an integrated winch stand step for easier boarding/deboarding at bow while boat is on trailer. 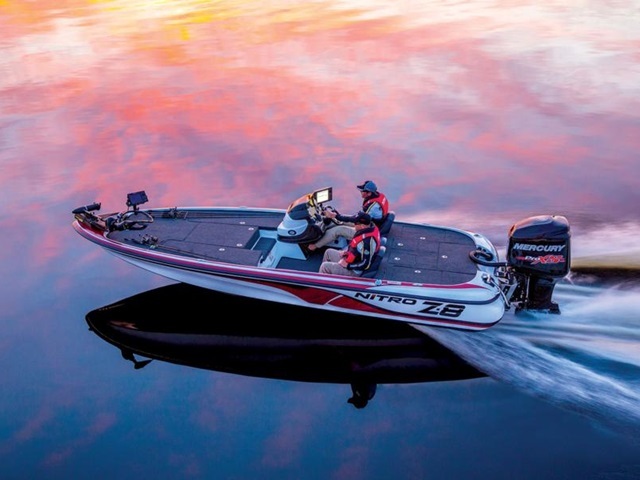 A removable port console option is available for quick set-up with a co-angler. This ferocious gem rides proudly on a custom-matched trailer with GALVASHIELD® corrosion protection, tongue step, swing-away tongue and a no Touch Vortex hub lubrication system. A new trailer fiberglass fender design with integrated LED backup lights and carpet backing to protect hull when you're on the road. And it comes with a new matching spare tire.